Lifetime warranty on every new Mazda and select pre-owned vehicles at Sport Mazda. Buying a new or used vehicle can be a challenge for Orlando area car shoppers. You want the peace of mind knowing that the car you’re buying will be a worthy investment of your time and money. That’s why we offer a Lifetime Warranty on every new vehicle and Sport Certified Lifetime used vehicles that will make your car buying decision a lot easier. We’re all about giving you peace of mind, unbeatable value, and ultimate convenience in your buying experience. We stake our outstanding reputation on the promise that your qualifying used vehicle will be covered years down the road when you need it most.The best part about the warranty is you choose which licensed repair facility you want to have your vehicle serviced! 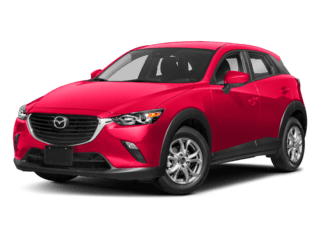 As long as it’s in the United States, the choice is yours.Of course your vehicle is in great hands if you choose our award winning Sport Mazda Service Center where our expert Mazda technicians will take excellent care of your vehicle. 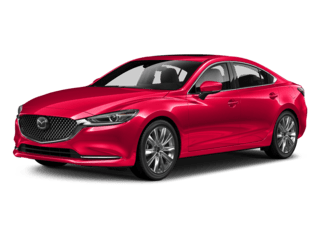 If you have any questions about our Sport Lifetime Warranty protection, check out our commonly asked questions below or ask a Mazda Expert over the phone by calling 407-851-8510. For the lifetime of the vehicle! It’s that great! Zero. We supply this at no extra cost to you because we value our customers’ investment. No extra maintenance is required. Simply follow the manufacturer’s recommended maintenance schedule found in your vehicle owner’s manual. Do I have to have all of my services completed at Sport Mazda? No. Our award winning service department (2016, 2017, and 2018 DealerRater.com’s US Mazda Dealer and Service Center of the year!) will certainly exceed your expectations, but you are not required to come here. To maintain the lifetime warranty, you must perform the manufacturer’s recommended maintenance at a licensed service facility and keep your records. No extra maintenance is required. Simply follow the manufacturer’s recommended maintenance schedule found in you vehicle’s owner’s manual. You’re covered from coast to coast. You can have your vehicle service performed anywhere in the United States. Are there any vehicle manufacturers excluded from the Lifetime Warranty? The first thing is you must follow the manufacturer’s recommended maintenance schedule found in your vehicle’s owner’s manual<. If you don’t do you work here at Sport Mazda, you must keep all copies of the maintenance and repair orders every time your vehicle is serviced at a licensed service center. These records must document the following items: customer name, repair order date, Vehicle Identification Number (VIN), a description of your vehicle, repair order mileage, and a complete description on services performed. If you’re a responsible vehicle owner, these two things are already part of your car care routine!